DENIZILI, Feb. 8, 2015 - Photo taken on Feb. 7, 2015 shows the view of Pamukkale. 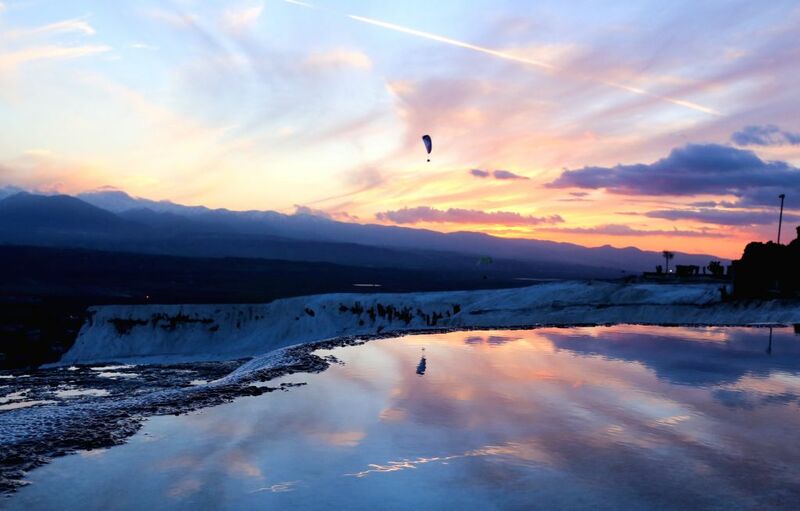 Pamukkale, meaning "cotton castle" in Turkish, is a natural site in Denizli Province in southwestern Turkey and contains hot springs and travertines, terraces of carbonate minerals left by the flowing water. It is in total about 2,700 meters long, 600 meters wide and 160 meters high. 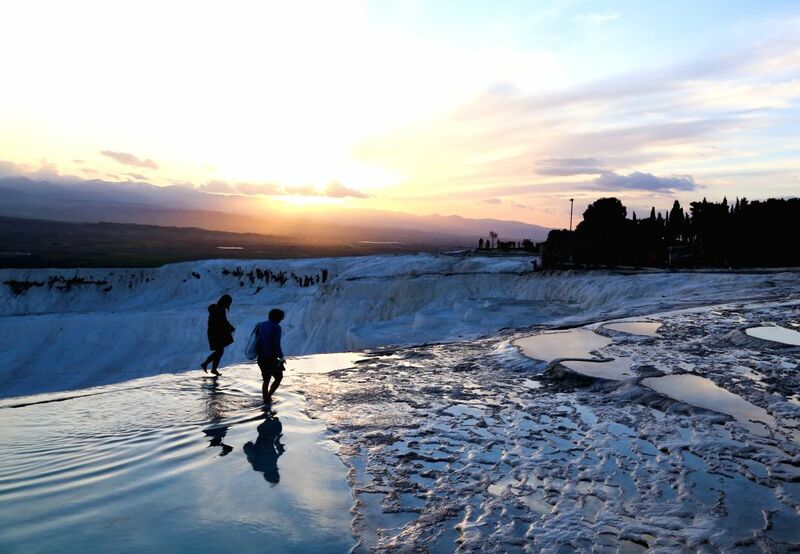 Pamukkale was recognized as a World Heritage Site in 1988.